This Saturday I will have been here in La Jolla for two weeks. What a nice break from the road trip I was on and quality time with my daughter in-law Dana and granddaughters Madison and Taylor. The time has come for me to head out back on the road. I had a relatively defined trip getting here although I was ahead of schedule due to the weather in the southeast and then Texas. Today was the first day I have seen rain since Ft. Stockton, TX when I woke up in the am to find 32 deg and rain. It will rain tomorrow (Friday) and Saturday with improvement on Sunday. They are expecting the most rain they have had in 4 years. Not wanting to drive in the rain as people here have difficulty driving in the rain as they mostly don't slow down, I plan to leave Sunday as this will be best for driving through Las Angeles to avoid traffic issues. Tomorrow I still have a couple of things that I want to finish up on the camper and Saturday I need to go grocery shopping to replenish my food supplies. Then I will be ready for the road. Today started off like this with rain and low clouds. 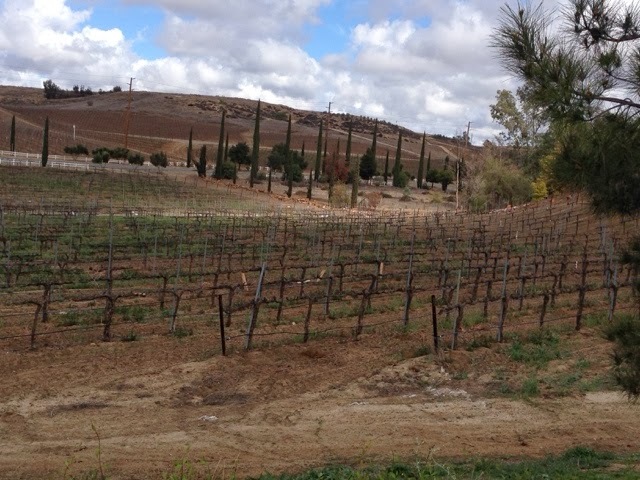 Not the kind of day to hike or bike, so Denise wanted me to drive to Temecula Wine Country to buy some wines she likes. Clayton and Dana picked a great location when it comes to traffic. When they travel to work and head east on CA 52 they are going against the traffic and in the afternoon the same thing. My trip to Temecula took me the same way to the I15 north and I got to see mile after mile of traffic backed up in the other direction. There was more good news was that my trip north took me through the first weather front to see parting skies. 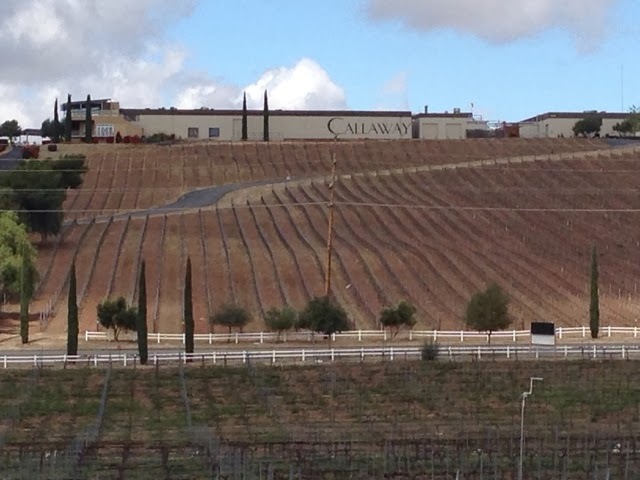 The wine country here is very picturesque with many wine companies some more popular than others. 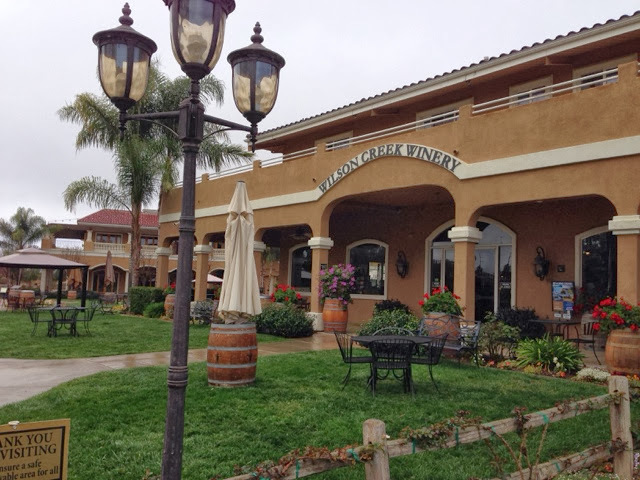 My first stop was at the Wilson Creek Winery for their Golden Jubilee wine. My first stop I failed to get the wine as they were out of it. I tried to contact Denise but she was at a meeting so I didn't substitute for another wine that costs $20 a bottle. It's a beautiful place and like others in the area the also have a restaurant. 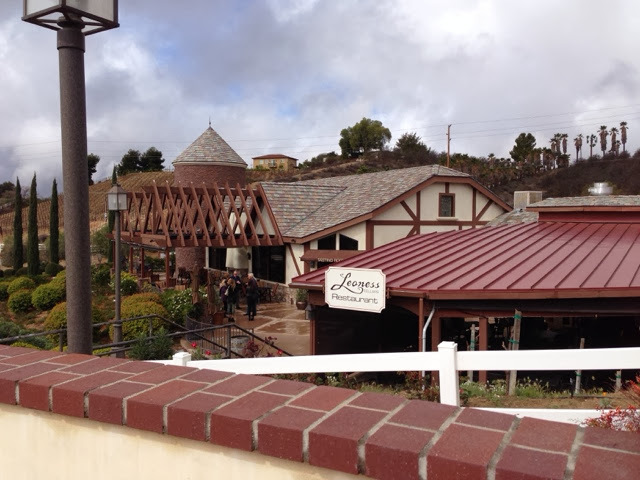 I moved on to Denise's other winery of choice the Leoness Winery on search of White Merlot. I was more successful with my second stop finding what she wanted. I bought 4 bottles for the trip home. Massachusetts does not allow shipment to the state and for me to ship the cost is prohibitive. They will ride in the hul of camper for about 5K miles home. If they were out of Denise's selection I would have picked something else to buy so I wouldn't be empty handed. The weather was good until I got back to San Diego where it turned cloudy. 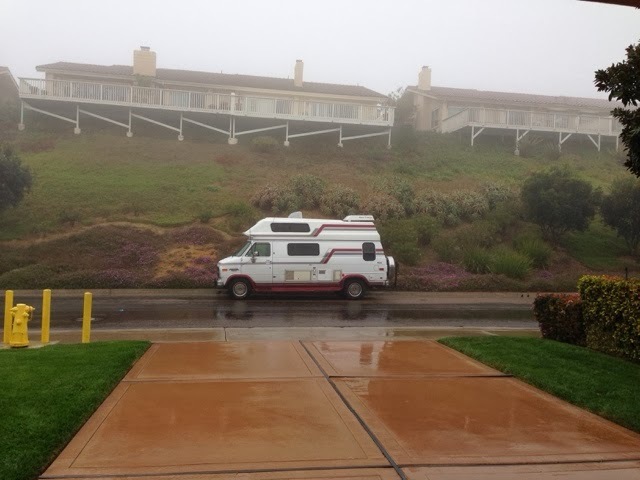 When I got to the house in La Jolla it was drizzling. 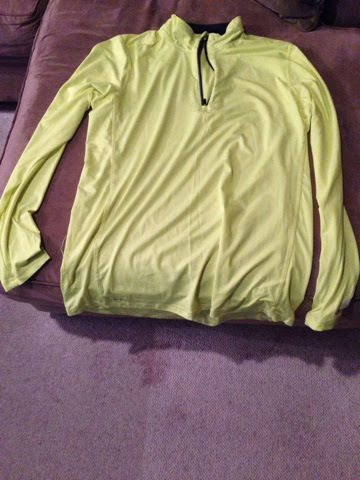 I went back out to Walmart for a bright color top for when I'm riding my bike. I have a rear facing flashing red light but a bright colored shirt should also help. I found a bright colored layer that that's made of compression fabric for $15.99. When I got back to the house the drizzle stopped and I was able to get a bike ride in for about 1 hour. My left knee was a little sore today and a rest of not getting a workout couldn't hurt, but the bike ride went well, although I still don't feel as strong biking up hill as I wish. Jade, plans for your 3rd time?